In the wake of unprecedented market events this morning, OANDA demonstrated its ongoing commitment to doing right by its clients. Despite suffering losses and vanishing liquidity in the institutional hedging market, OANDA remained true to its 14-year legacy of transparency, integrity and fairness to our clients. OANDA did not re-quote or amend any CHF cross client trades. We even took the further step of forgiving all negative client balances that were caused when clients could not close out their positions fast enough*. Client inquiries are being handled normally and those making withdrawals and deposits are able to do so as normal. 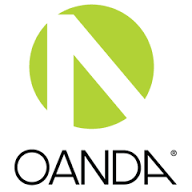 OANDA is proud of its strong reputation for fairness and integrity. We thank our customers for their continued loyalty and welcome new traders who want to experience outstanding service and execution. To trade with an award-winning broker, visit us at www.oanda.com. Specific questions about individual fxTrade accounts will be addressed by our Client Experience team via http://www.oanda.com/corp/contact/.